there is always a hacker stripping out the bad stuff, leaving in the good stuff and releasing it to the public. there is even a mobile version of it. So there might be critical bugs that were not fixed yet – tearing potential security holes – while browsing. Not good. That is definitely a downer – the question is – allow JS on those sites only? or disable completely and not use it 😀 and ask the programmers to change their ways. More backend, less front-end. A website/portal without JS support might be perfectly doable – the question is: will people do that. For security reasons we should. Unless client-side scripting could be done in a safer way. LibreJS is always a work in progress. IceCat v45 is still in beta and have not been packaged for Trisquel. IceCat 38.8.0 (based on Firefox ESR 38.8.0) has 7 critical bugs. A direct workaround for bugzil.la/863246: No Resource URI Leak. 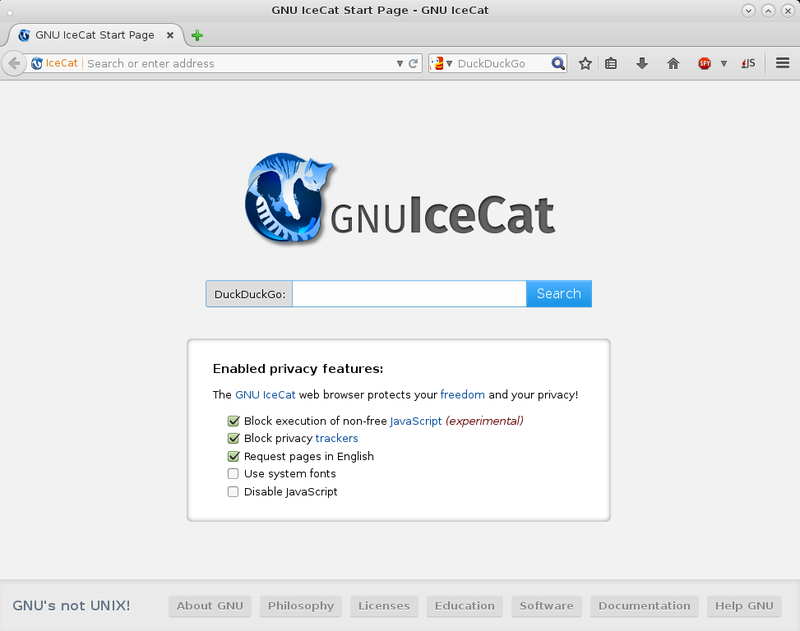 GNU IceCat (originally GNU IceWeasel) is part of GNUzilla (the GNU version of the Mozilla Application Suite). GNU IceCat aim to be based on the the current official release of Firefox Extended Support Release (ESR) with removal of trademarked artwork and proprietary components. However, IceCat is not a straight fork of Firefox ESR; instead, it is a parallel effort that works closely with and re-bases in synchronization on the latest Firefox ESR as the upstream supplier, with patches merged upstream whenever possible; although it should be noted that security updates to IceCat. And lastly, whereas new versions of Firefox are being created such that they support Digital Restrictions Management systems through their implementation of the Encrypted Media Extension, GNU IceCat will not include an EME implementation as it opposes efforts to popularize and ease the dissemination of DRM technology and related proprietary software. GNU IceCat was formerly known as GNU IceWeasel but changed its name to avoid confusion with Debian IceWeasel who had the name first. thanks a lot. thats what you probably DO NOT want. AboutIceCat: Adds a custom „about:icecat“ homepage with links to information about the free software and privacy features in IceCat, and checkboxes to enable and disable the ones more prone to break websites. General discussion of these projects take place on the mailing list bug-gnuzilla@gnu.org (it’s not just for bug reports, despite the name). Feel free to subscribe or browse the archives. Development of IceCat, and GNU in general, is a volunteer effort, and you can contribute. 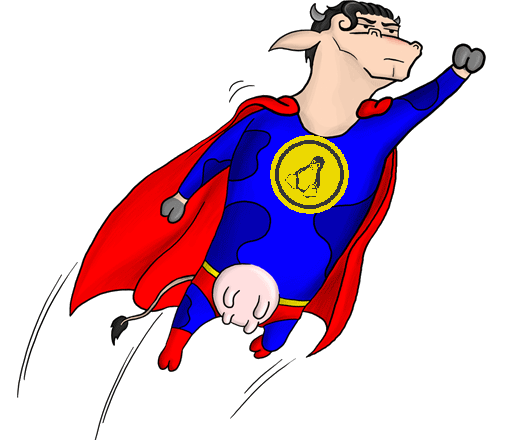 For information, please read How to help GNU. If you’d like to get involved, it’s a good idea to join the discussion mailing list (see above). The name “IceCat” was coined to show our relationship to the Mozilla Firefox browser. Ice isn’t Fire and a Cat isn’t a Fox, so it is clearly a different package (we don’t want Mozilla blamed for our mistakes, nor cause confusion with their trademarks), but is equally clearly intimately related (of course nearly all of the work comes from the Mozilla foundation effort, so we want to give credit). 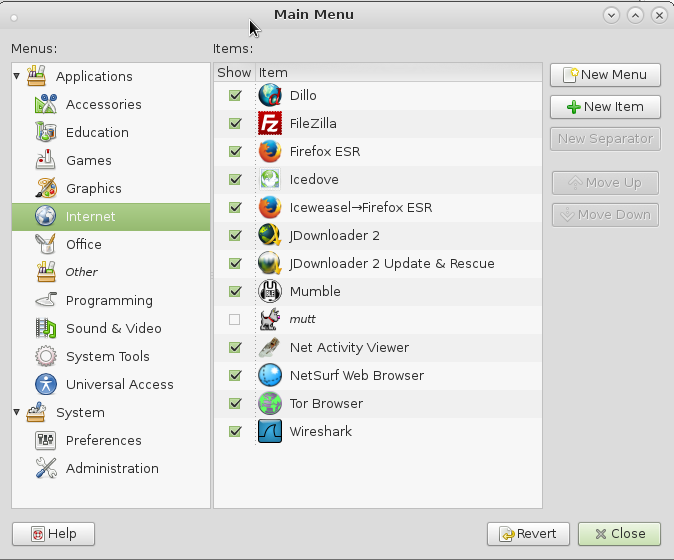 GNU IceCat, formerly known as GNU IceWeasel, is a free software rebranding of the Mozilla Firefox web browser distributed by the GNU Project. It is compatible with Linux, Windows, Android and OS X.
IceCat is the GNU version of the popular Mozilla Firefox Web browser. While Ubuntu versions to date have included Firefox by default, its future is under scrutiny with the apparent conflict between Debian’s definitions of free software and Mozilla’s trademark of the Firefox logo. IceCat is the counterpart to Firefox. Icedove is the Thunderbird equivalent and Iceape corresponds to the Seamonkey suite. If you want more information about these programs, try the Gnuzilla home page first. For a synopsis of the issue, try this InternetNews.com article. You can also read the original Debian bug report describing the dispute. please check for yourself what the latest version is: ftp://ftp.gnu.org/gnu/gnuzilla/. apt-get install mozo; # install Gnome2 MATE Desktop menu editor, so you can integrate IceCat into your application "startmenu"